The ultimate in the ultimate driving experience. 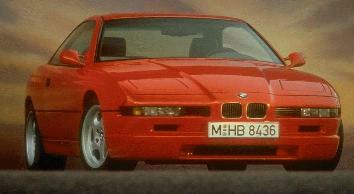 The 8 series never really caught on, and I could never understand why. Every now and then I'll pass one on the road and ask the person I'm with what they think of them, and for the most part, the answer isn't thrilling. For most people, I don't think they do much, but I happen to love them. 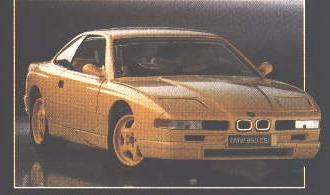 They're sleek and sporty (reminds me (kind-of) a Aston-Martin Lagonda), and with the 850 or the CSi model, damn fast. Autothority makes a kit you can put on the 840 or the 850 that makes this thing a screamer. The crazy thing is that you can get in to one of these for the mid-$20k's. Thats for the 840, or slightly higher for the 850. But still a gorgeous car for that kind of money.